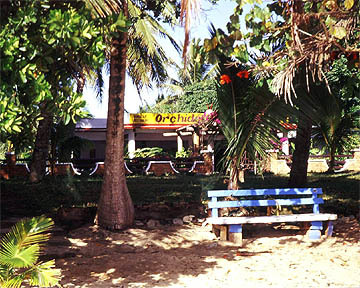 The bungalow hotel "Orchidea Beach" is a comfortable nice place on the ocean beach for a reasonable price. 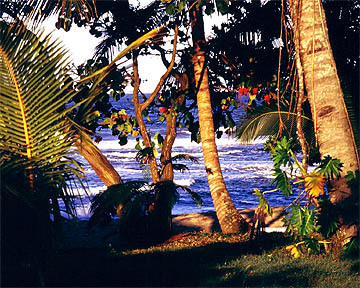 Sunset on the beach of the Indian Ocean just in front of the hotel. Vanilla plant near to Sambava. 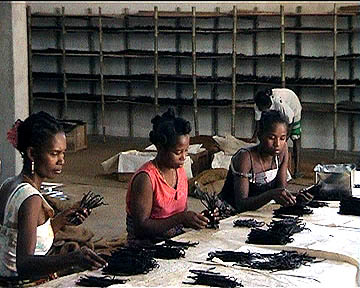 The area is the centrum of vanilla cultivation and processing of Madagascar. 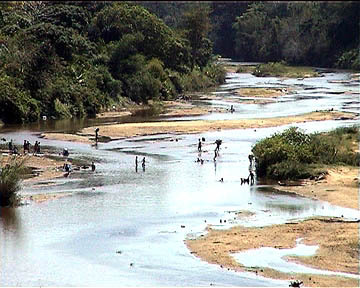 The river Sambava is the source and the means of the life in the area. 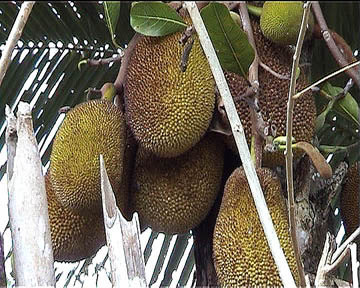 The big watermelon sized sweet Jack-fruit. 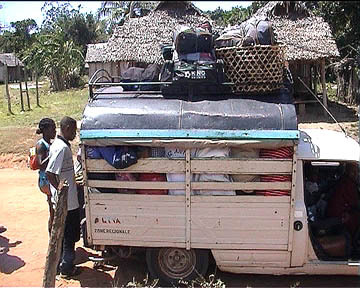 Taxi brousses are the chipest way of public transport. They run always overloaded all over the island.